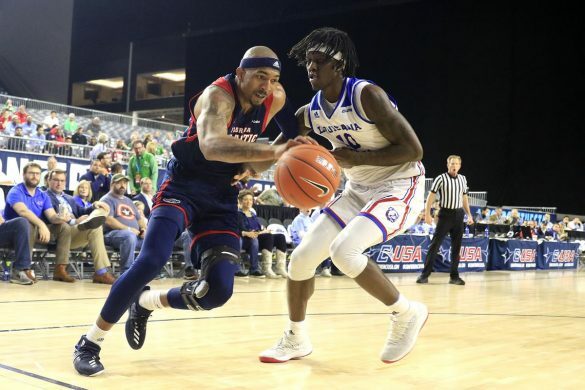 Anthony Adger’s old-fashioned three point play in the closing seconds of overtime lifted a terribly undermanned FAU squad to an improbable 73-71 victory over Illinois in Champaign. Those three points were the final of Adger’s career-high 27 points, his third 20-point game of the season. Adger sank all nine of his free-throw attempts on the night. FAU won the game despite the absence of three starters. Center Karlis Silins missed two of the last three Owls’ games and the timetable for his return is uncertain. Xavian Stapleton, the Owls’ second leading rebounder and third leading scorer, is battling a knee injury and hasn’t played in December. His timetable for return is also uncertain. Leading scorer Jailyn Ingram is out for the year with an ACL tear suffered three games ago. Illinois (4-9) scored the final seven points of the first half to take a 26-21 lead at halftime. Jaylen Sebree’s three-pointer gave the Owls a 51-42 lead with less than six minutes left in regulation. Illinois rallied to tie the game at 63 with 3.1 seconds to go. 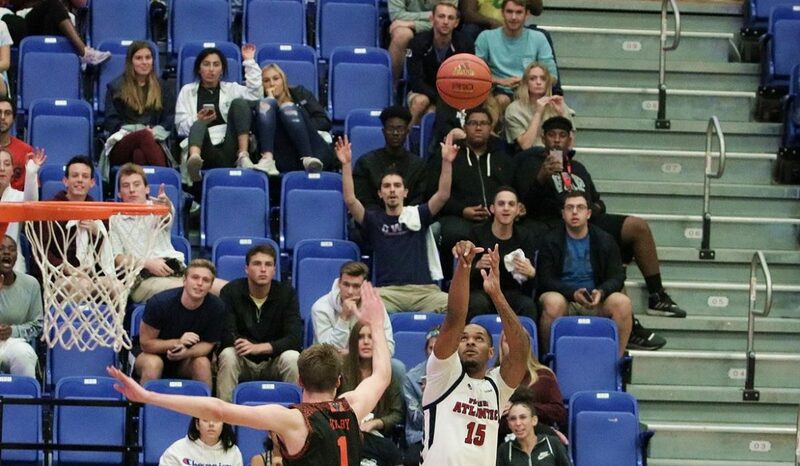 FAU had a heave at the buzzer, but the shot was offline. The Owls and Illini swapped the lead multiple times in overtime. 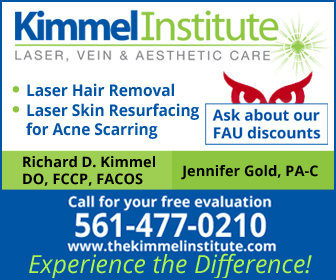 FAU sealed the win by holding the Illini scoreless on the final possession. 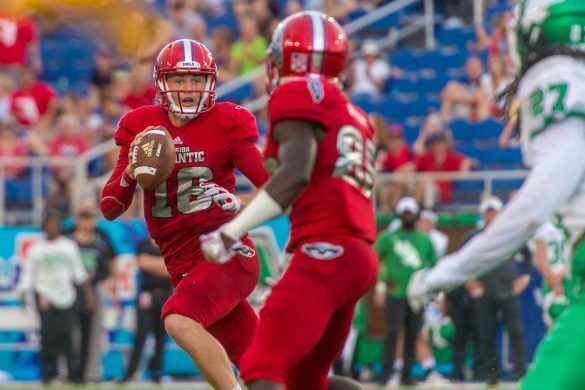 The victory sends FAU into Conference USA play with a 9-4 record. Moving Forward: Madiaw Niang scored 12 points and grabbed 14 rebounds for his first-career double-double. …Aleksander Zecevic came off the bench to score eight points and grab four rebounds in 11 minutes of play. …Saturday’s victory over Illinois marks the second time in three years the Owls defeated a Big Ten team. The Owls downed Ohio St. in 2016 – also an overtime victory. 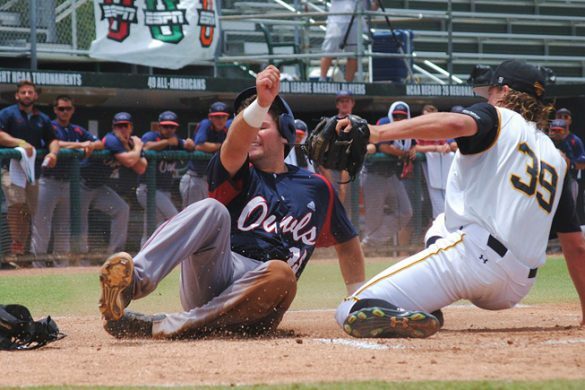 …The victory snaps a four-game overtime losing streak for the Owls. 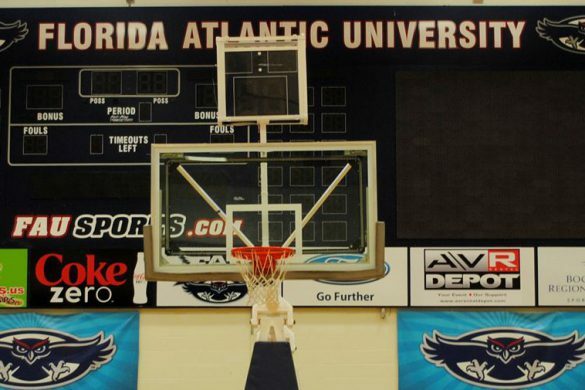 Falling Backward: Only two FAU players scored in double figures. …Point guard Michael Forrest returned to the starting lineup, but turned the ball over six times. …Jaylen Sebree fouled out with only five points on 2-of-10 shooting. Key Stat: 51 – rebounds for FAU compared to only 38 for Illinois. The Owls are 8-1 on the season when they win the rebounding battle. 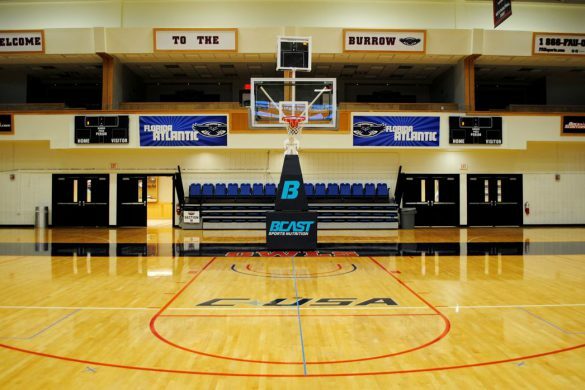 Up Next: FAU begins Conference USA play on Thursday at UAB. 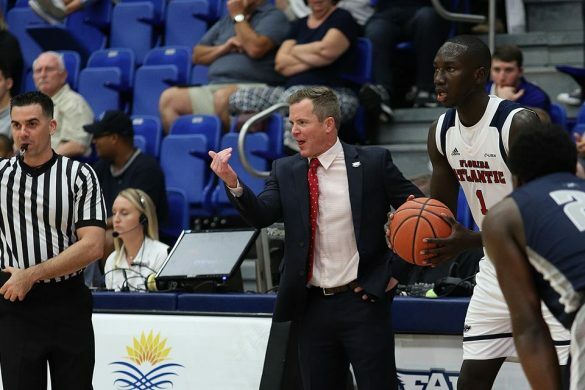 Tip-off is slated for 8 p.m.
BOCA RATON – FAU is once again in search of an offensive line coach. On Thursday North Carolina St, announced it had hired John Garrison away from the Owls. 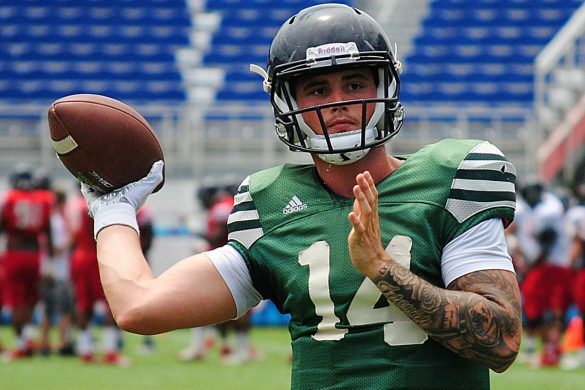 Garrison spent only one season at FAU, during which he melded an offensive line that featured three new starters into arguably the top unit in Conference USA. 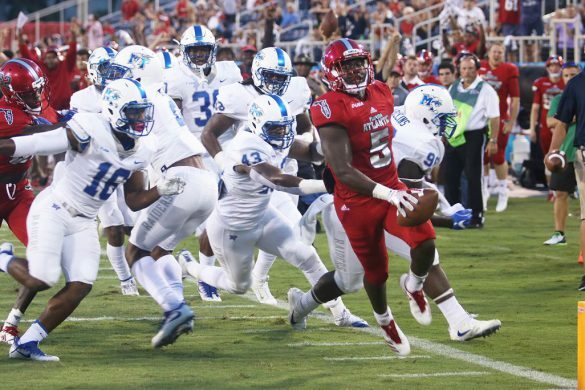 FAU led C-USA in rushing in 2018, averaging 242.8 yards per game. Thus far this season only 12 teams surrendered fewer than the 14 sacks the Owls allowed. Garrison’s departure leaves Lane Kiffin looking for his third offensive line coach in as many seasons. Garin Justice left after Kiffin’s first season, accepting a job at Arizona. After the Wildcats changed their coaching staff, Kiffin had the opportunity to bring back Justice but opted instead for Garrison. Whomever replaces Garrison will face a similar rebuilding task. 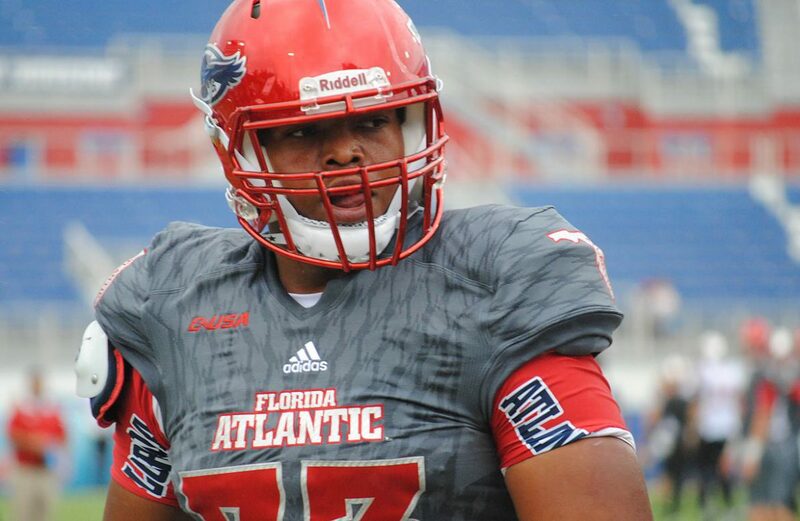 The Owls lose Reggie Bain, a four-year starter at left tackle, and guard Antonio Riles, a graduate transfer from Florida who started all 12 games in his lone season at FAU. 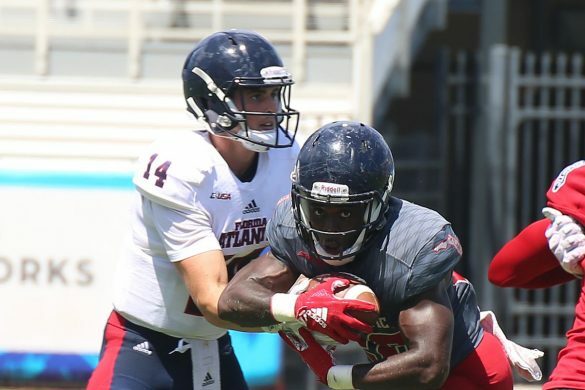 In Marquice Robinson and Doug Johnson, both rising redshirt freshmen, the Owls have potential replacements for Bain internally that the coaching staff is high on. Rising redshirt sophomore Nick Weber, a walk-on who saw significant playing time late in the season, is the likely internal replacement for Riles. 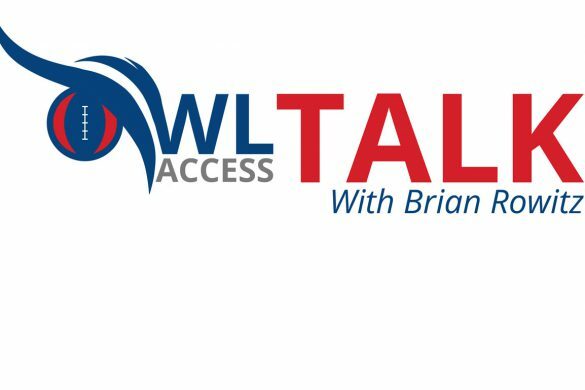 The Owls actively recruited junior college offensive linemen during the early signing period but didn’t land one. They continue that pursuit as the Feb. 6 National Signing Day approaches. FAU could also elect to once again bring in grad transfers. Garrison is the third FAU assistant Kiffin will have to replace off his 2018 staff. Kiffin parted ways with defensive coordinator Tony Pecoraro earlier this month, hiring Glenn Spencer to replace him. D.J. McCarthy replaced Gary Harrell as wide receivers coach. 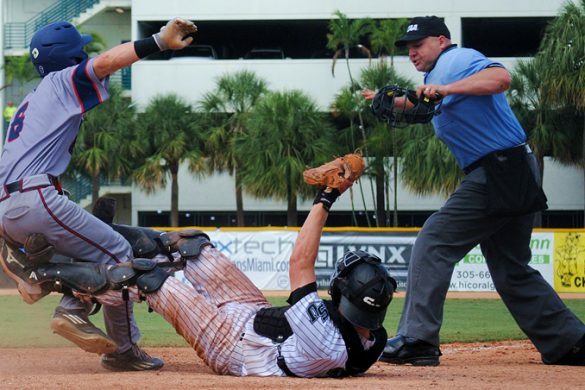 BOCA RATON – Andrew Soroh began the season as a player without a position. By the time season ended, he seemingly played every position. Soroh moved from safety to linebacker during spring practices, switching from a position where he began his junior season as a starter to one where captain Azeez Al-Shaair and Rashad Smith blocked his path to consistent playing time. 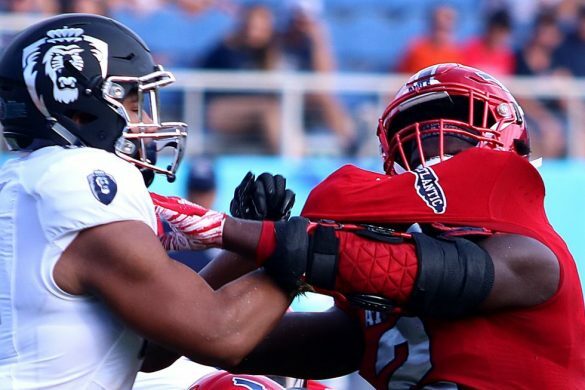 When he did take the field early in the season, FAU asked Soroh to play straight-up linebacker, to drop into coverage and even to line up at defensive end and rush the passer. The veteran’s versatility became even more vital when Al-Shaair suffered a season-ending knee injury midway through the season, catapulting Soroh from a bit player to a starting linebacker. The converted safety held up his end of the bargain. Forty-five of Soroh’s 56 tackles came in the season’s second half. He finished the year tied for third among the Owls in tackles. His 5.5 tackles for loss tied for third most among the Owls, with 1.5 of those being sacks. In his first game replacing Al-Shaair, Soroh responded with a team-high 13 tackles. Against Western Kentucky Soroh tied for the team high will nine tackles. When discussing FAU’s defensive leaders, the names Al-Shaair, Smith and Jalen Young roll off the tongue. Even before Al-Shaair’s injury Soroh already belonged on that short list. Following the injury, Soroh’s play on the field cemented his spot as one of the Owls’ essential cogs. Ernest Bagner, who led the Owls with 5.0 sacks on the season, received consideration for this award, as did defensive tackle Ray Ellis, whose late-season surge prompted the Owls to petition the NCAA for a sixth year of eligibility. BOCA RATON – There’s a good chance you didn’t hear right tackle Brandon Walton’s name much this season. And considering how offensive linemen are often only recognized when they get called for a penalty or blow an assignment, that silence is a badge of honor for standouts like himself. The second-year starter had a phenomenal season, keeping the pocket clean in the passing game and paving the way for plenty of stat-sheet stuffing performances from running backs Devin Singletary and Kerrith Whyte. 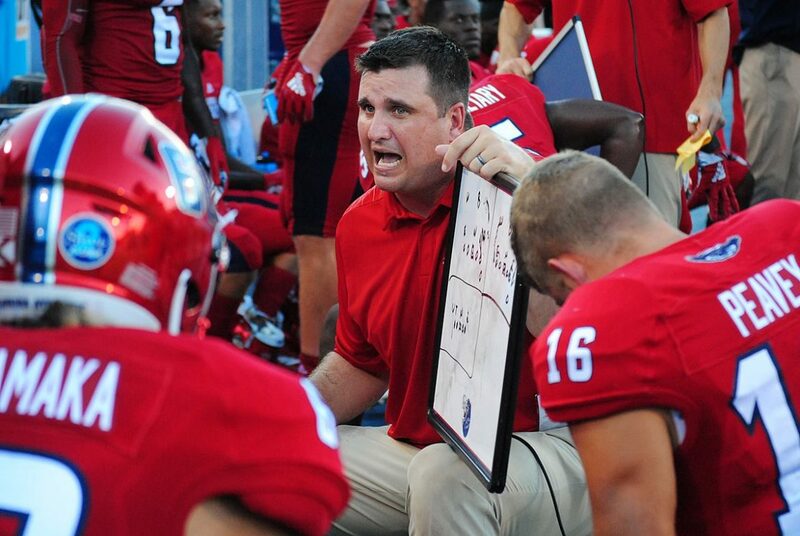 Walton led an FAU offensive line that allowed only 14 sacks this season – second in Conference USA. FAU’s ground game flourished thanks in part to Walton’s production out on the edge, leading the conference in rushing yards (2,913), rushing touchdowns (35) and yards per carry (5.1). Pro Football Focus, a website that analyzes game film, graded him as one of the two best offensive tackles nationally in Week 11. But despite his dominant play, Walton was left off C-USA’s All-Conference teams, instead landing with the honorable mentions. Those head-scratching omissions made him the obvious choice as Offensive Unsung Hero. Tight end Harrison Bryant came into consideration for his blocking skills, which go largely under the radar because of how talented a receiver he is. But it’s hard to say a player is an “unsung” hero when he was recognized with first-team All-Conference honors. Another Owls pass catcher that had a case for the award was Jovon Durante. In his first on-field season at FAU he led the team in receptions (65), receiving yards (873) and receiving touchdowns (5). But after a hot start Durante’s play tailed off near the end of the season, taking him out of the conversation. Walton was the clear-cut choice here and will be back next season manning either his usual right tackle spot or kicking over to the left side to fill in for Reggie Bain, who exhausted eligibility. BOCA RATON – Tallahassee-Rickards running back Kelvin Dean became what is likely the final piece of FAU’s early signing puzzle when he inked his name to a National Letter of Intent during a ceremony at his high school on Friday. A prolific touchdown maker, Dean found the end zone more than 70 times in his high school career. He flipped his commitment from Temple to FAU following an official visit to Boca Raton this past weekend. Dean becomes the ninth player to sign an NLI to FAU during the early signing period, which began Wednesday and concludes on Friday. He elected to wait to sign until exams ended at his school, allowing friends and teammates to attend the Friday ceremony. 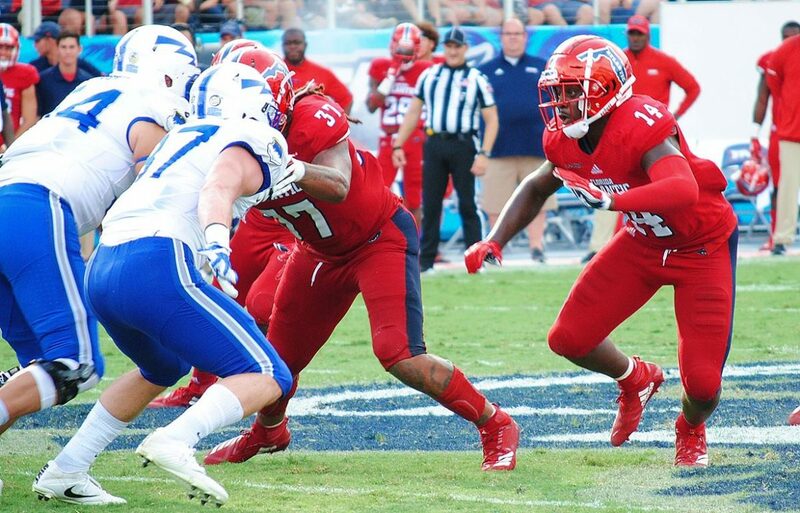 The 5-foot-11, 190-pound Dean will join former Alabama running back B. J. Emmons as newcomers in the FAU backfield, looking to replace Devin Singletary and Kerrith Whyte – both of whom declared early for the NFL draft. 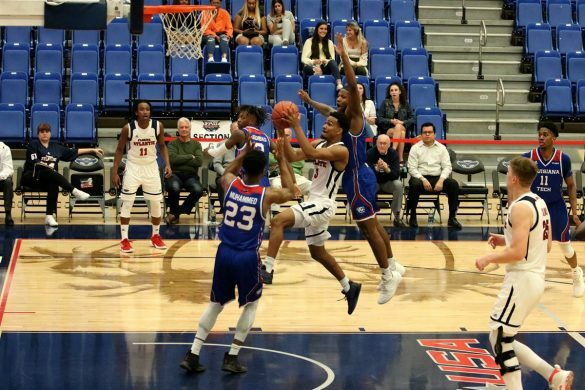 After transferring to Hutchinson C. C, for his sophomore season, Emmons originally signed with FAU in February but never enrolled at Florida Atlantic, using the fall semester to complete academic requirements. Emmons will enroll at FAU in January. 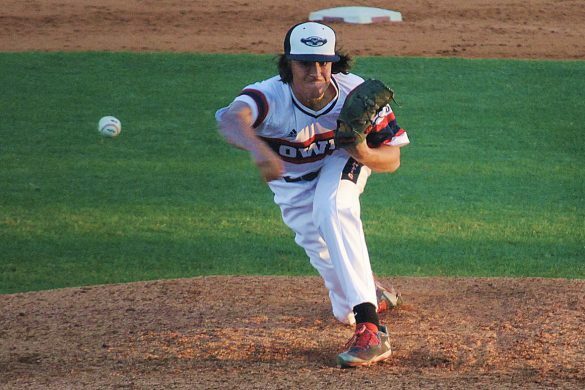 Dean will join the Owls during the summer. Dean rushed for 1,200 yards and 13 touchdowns as a senior. He also intercepted five passes as a defensive back and returned three kickoffs for touchdowns during his career. 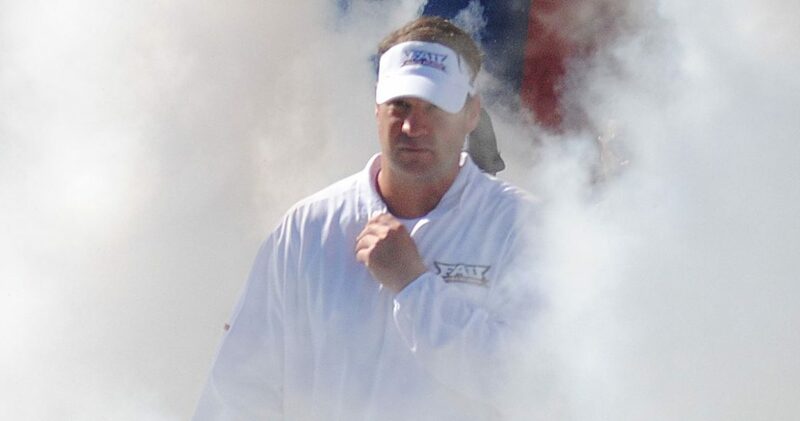 FAU’s 2019 recruiting class is the third group under coach Lane Kiffin. The early signees are listed below. More information on each player can be found in our original early signing story. Caliph Brice, LB, 6-2, 235, Hutchinson C.C. 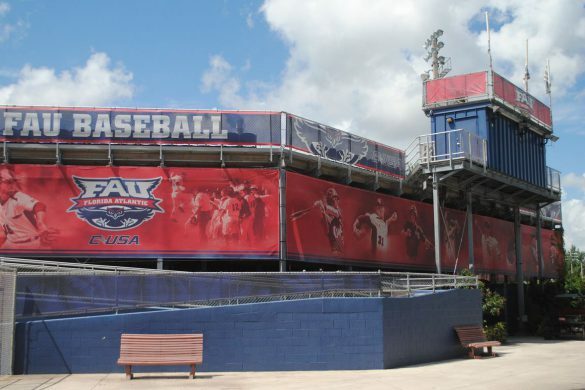 FAU has yet to formerly announced the signing of Dean or Lewis. The Dean announcement should come on Friday. The official Lewis announcement is likely to wait until the linebacker participates in Tampa Tech’s ceremony in February. 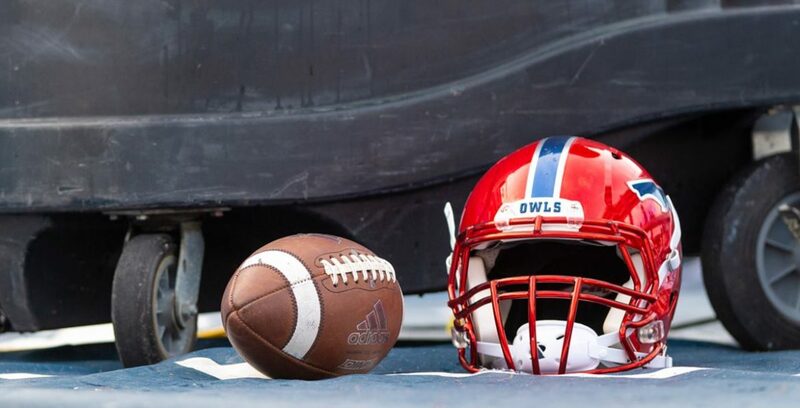 Counting Emmons, the Owls have 10 players for their 2019 recruiting class. Emmons, Howard, Toombs and Bryant are expected to begin taking classes at FAU in January, allowing them to participate in spring practice. 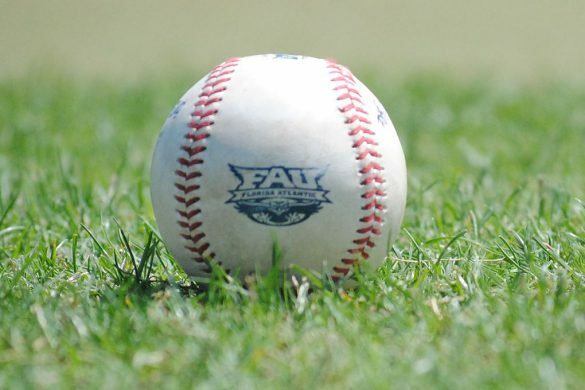 More than a dozen additional players are likely to sign with FAU on Feb. 6 – National Signing Day. At the moment six players are committed to sign with Owls then. One of them, Palm Beach Gardens-Dwyer quarterback Gio Richardson, may elect to look elsewhere as the Owls’ primary focus at the position shifted to Greenville (Ala.) quarterback Javion Posey. Richardson’s teammate, running back James Meeks, will sign with FAU in February but won’t enroll until January of 2020, allowing him to rehab a torn ACL. 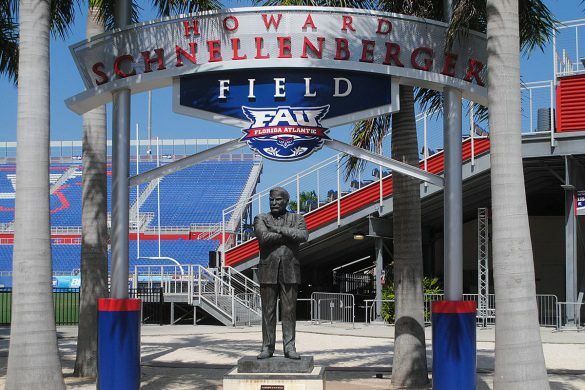 Here’s the complete list of FAU signings and commitments for the 2019 recruiting class. BOCA RATON – Adrian Bryant bet on himself. That wager paid off in a scholarship to FAU. Late in his high school career the wide receiver moved from Florida to Georgia, where he was originally ruled ineligible to play football, causing him to miss the first few games of his senior season. 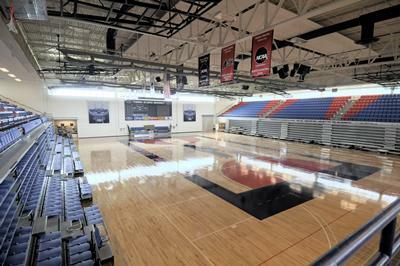 College recruiters backed away, prompting Bryant to forego Division II scholarships and enroll in junior college at College of the Sequoias in California. 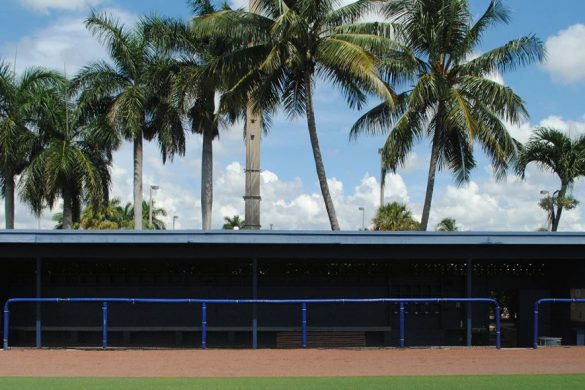 He spent one year on the west coast, then signed with FAU on Wednesday – the first day of the NCAA’s 2019 early signing period. The 6-foot, 185-pound speedster caught 19 passes for 335 yards and four touchdowns in nine games for the College of the Sequoias. His statistics likely would have been more impressive has the Giants not lost their top two quarterbacks to season ending injuries early in the year. Bryant will enroll at FAU in January. He four years to complete his three seasons of eligibility. Bryant nearly played in the Big 12. He appeared to be heading to Texas Tech before the Red Raiders made a coaching change. Memphis made a late push for Bryant. San Diego St. also offered him, and after Bryant announced his commitment, several Power 5 schools called, D’Angostino said. Bryant is one of eight players to sign with FAU on Wednesday. Hutchinson C.C. linebacker Caliph Brice was the first confirmed signing for the Owls. He’ll help fill the void in a unit that lost four players to graduation. The 6-foot-2, 235-pound Brice will likely play outside linebacker for the Owls. He’s rangy, a good tackler in space and is excellent in coverage. Miami-Southridge linebacker Diamante Howard also signed with FAU on Wednesday. He’ll also graduate high school this week and enroll at FAU in January. 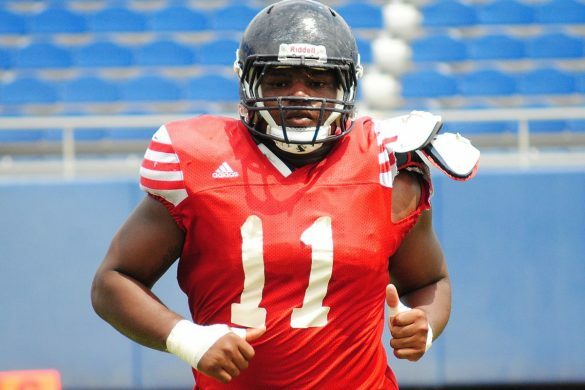 FAU added a third linebacker when Tampa Tech’s Joe Lewis signed on Wednesday. The 6-foot-2, 215-pound Lewis began his athletic career as a baseball player (center field), and his coach, Jayson Roberts, described Lewis as an “absolute freak” athlete. FAU picked up a fourth linebacker when Miami-Palmetto’s Eddie Williams signed on Wednesday. A linebacker/safety hybrid, Williams chose FAU over Marshall. “I’ve been coaching 17 years down here in Miami, he’s the best football player I’ve ever coached,” Palmetto coach Mike Manasco said. Pensacola-West Florida Tech’s Antarrius Moultrie is the fifth potential linebacker to sign with the Owls. 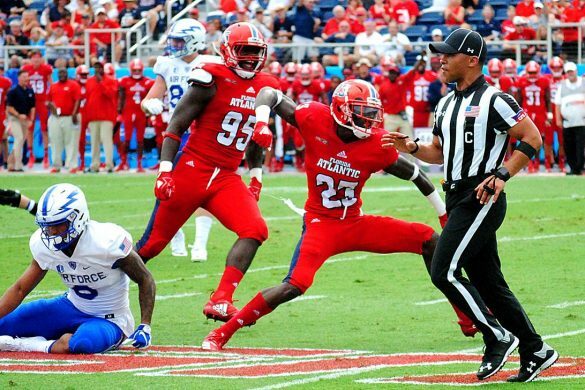 One of FAU’s earliest commits, Moultrie chose FAU over Tulane and Middle Tennessee. 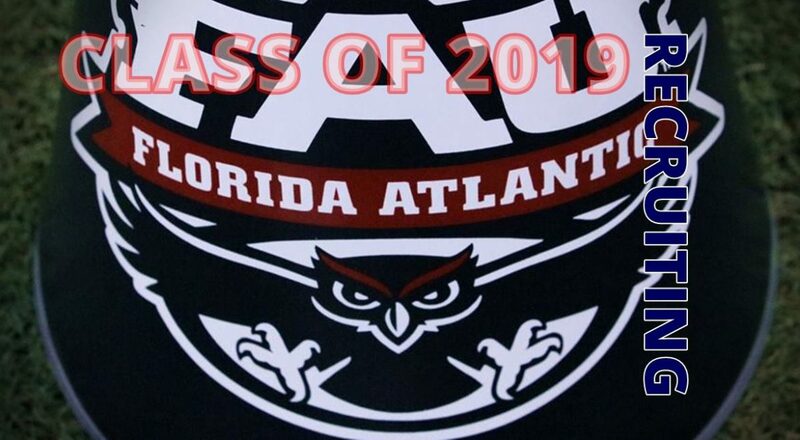 The Owls also added another option at safety when Port St. Lucie-Centennial’s Dwight Toombs signed with FAU, announcing his decision at an afternoon ceremony at the school. Toombs recorded 70 tackles, intercepted four passes and forced three fumbles as a senior. 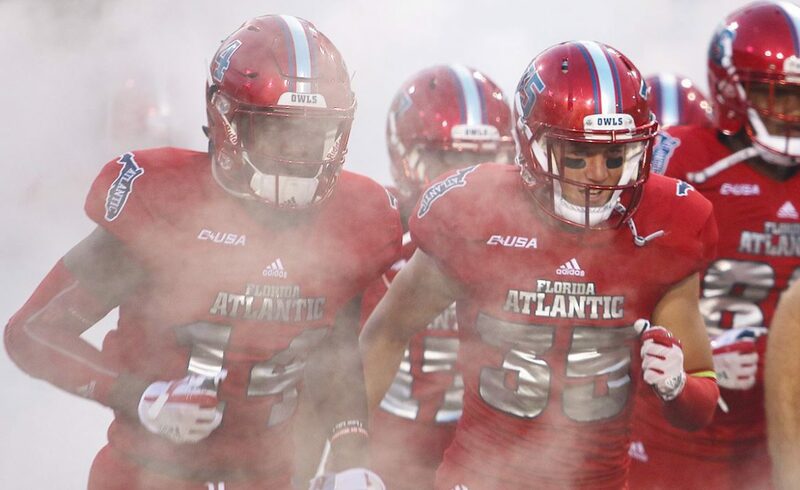 He made an official visit to FAU a couple of weeks ago, then traveled to Boca Raton again last weekend to meet new Owls’ defensive coordinator Glenn Spencer. Toombs can also play nickel. He graduates high school on Friday and will enroll at FAU for the spring semester. 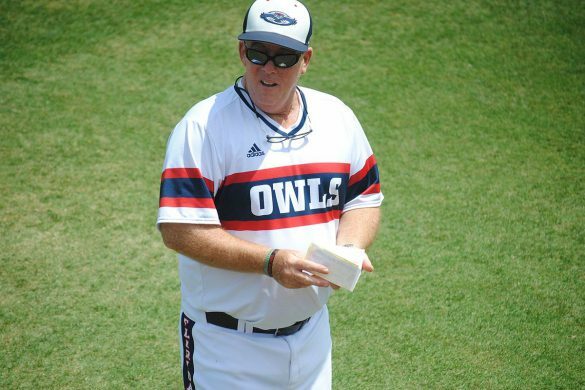 “It seems like a family,” Toombs said of FAU. Homestead tight end Rahmod Smith will join his brother, linebacker Rashad Smith, at FAU. The 2019 season will be the first time the brothers play on the same football team. Rahmod was originally a basketball player in high school before joining the football team. A UNLV commit until this week, Rahmod made an official visit to FAU this past weekend. “The offensive style, it fits me,” Smith said. Tallahassee-Rickards running back Kelvin Dean also expects to sign with FAU during the early signing period at a ceremony on Friday. The Owls are also expecting former Alabama running back BJ Emmons to enroll in January. 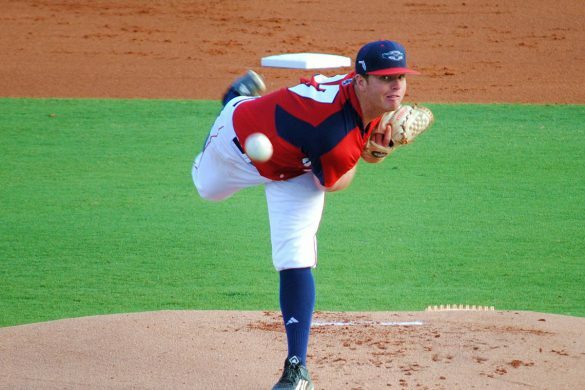 Emmons left the Crimson Tide to play at Hutchinson C.C., then signed with FAU back in February. 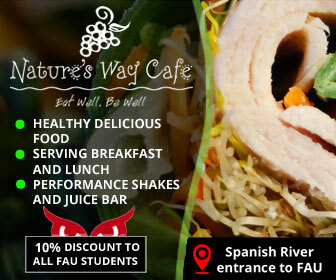 He never enrolled at FAU, spending this fall completing academic requirements. When Emmons arrives in Boca Raton, he’ll be reuniting with his former offensive coordinator at Alabama, Lane Kiffin. 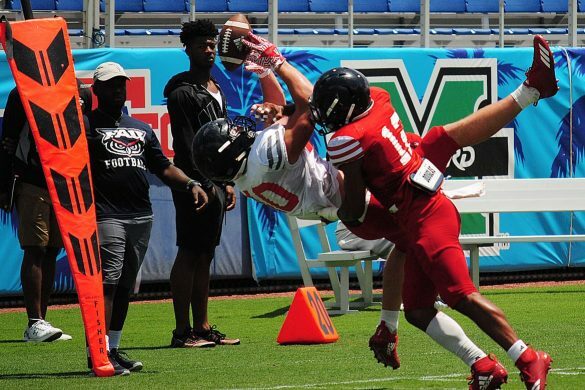 It is unclear whether Emmons technically signed another NLI to play for FAU on Wednesday, or whether re simply re-affirmed his previous commitment. FAU hoped to add bulk to its offensive line, but the Owls’ two big targets both signed elsewhere. Fort Scott C.C. guard Desmond Noel signed with Colorado St., where he was committed, and Fort Lauderdale tackle Kaleb Boateng selected Clemson over the Owls. 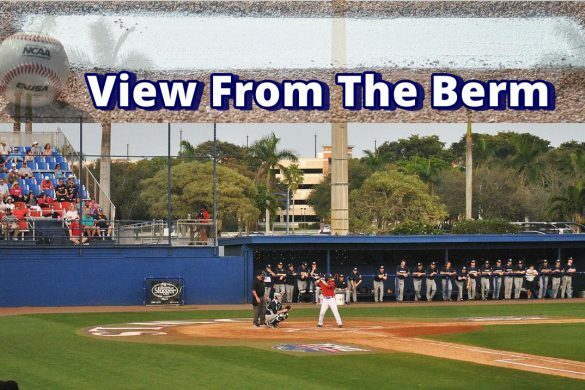 For more on what FAU fans can expect as the signings come in, check our early signing preview.